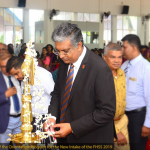 The University of Sri Jayewardenepura celebrated 60 years of excellence in higher education on 18th February 2019, reaching a significant landmark in its historical journey. The Diamonds Jubilee was celebrated with the participation of President Maithreepala Sirisena, Chancellor, Most Venerable Dr. Ittapana Dhammalankara, Vice Chancellor of the University of Sri Jayewardenepura Senior Prof. Sampath Amaratunge and other dignitaries at the Bandaranaike Memorial International Conference Hall (BMICH) on 2nd April 2019. 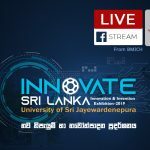 The rich and vibrant history of the University of Sri Jayewardenepura – initially as the Vidyodaya Pirivena – dates back to 1873. As stated in the First Convocation Booklet and Ceremonial Inauguration of the Building Scheme at Gangodawila, 1960, It was founded with “thirteen men of wisdom” including the eminent oriental scholar, the Most Venerable Hikkaduwe Sri Sumangala Nayaka Thero, at a time in history when the nation needed to recognize and value the knowledge of Buddhism and oriental culture. The strong need to promote and revive Buddhism and the richness of the oriental knowledge and culture was aptly understood and acknowledged by the scholars who rallied round Most Venerable Hikkaduwe Sri Sumangala Nayaka Thero. Vidyodaya Pirivena was established with the noble notion of reviving the glory of the cultural traditions and knowledge, which was over-shadowed by Western imperialism. On a par with oriental systems of education, the Vidyodaya Pirivena fostered the belief that knowledge should be created, gained and disseminated, not for its sake but for a cause, thus, knowledge is only a means to an end and not an end in itself. 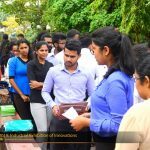 Recognizing the significance of the contribution of the Vidyodaya Pirivena to the nation in molding its character and guiding its direction, after eighty-six years, it was granted University status by the then government of Sri Lanka. 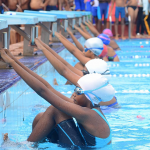 The proposal to do so was presented to the parliament by Wijayananda Dahanayake, then Minister of Education in 1956. On 18th February 1959, the Vidyodaya University was inaugurated in an impressive formal ceremony at the Independence Square and on the same day, the academic activities were also initiated at the Sumangala Hall of the Vidyodaya Pirivena in Maligakanda. The establishment of the University was seen as a “significant landmark in the march of the nation to progress” by Sir Oliver Goonatilleke. The first Chancellor of the Vidyodaya University, Most Venerable Welivitiye Sri Soratha Thero was appointed as the first Vice-Chancellor. His knowledge, unmatched intellectuality, dedication, broad vision on higher education and ideological stance transcended the limitations of religion, culture, and ethnicity and rightfully transformed the Vidyodaya Pirivena into the Vidyodaya University of Sri Lanka. 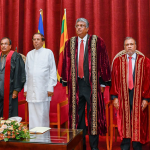 The conferment of Vidyodaya Pirivena into the Vidyodaya University of Sri Lanka was an expression of recognition of the great services rendered to the nation by the Pirivena and an expectation to widen its horizons to embrace the larger needs of the nation. Most importantly, it was seen as a dire need of the masses – a University with its roots in the traditional oriental culture of the mass for the masses. 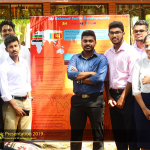 The establishment of the University coincided with the nationalist movement, which brought independence and led to the Language Act in 1956 that declared Sinhala as the state language. Despite the negative consequences, this Language Act ushered in, the opportunity to receive higher education in one’s vernacular was a rare luxury in this era. 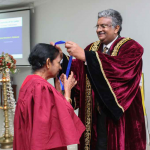 Referring to the importance and the significance of allowing Sinhala medium instruction for University education, Wijetunga (1984) states that ‘[i]n spite of vast strides in the expansion of secondary education for nearly two decades, there had been no commensurate provision of new opportunities for higher education in the country, éspecially in Sinhala, the predominant national language, and the main medium of instruction in schools.’ Thus, when the Vidyodaya University was inaugurated with fourteen students as its first batch, a huge banner carried the words ‘Dupptage Dayadaya’ across a road in Maligakanda, symbolizing transitioning of higher education, which was limited to an elite group to the masses. The transformation of this status called for a paradigm shift in the higher education milieu; the university was challenged to recognize the need to identify and acknowledge oriental scholarship while upgrading itself to correspond with the modern trends in higher education and research as a University. It is evident that the Vidyodaya University had overcome this challenge of merging tradition with novelty throughout its history. Heritage, traditions, culture, and oriental scholarship had not in any way been interpreted as limitations that isolate a community or a nation but more as pathways to reach, embrace and understand the modern world, while contributing to the development of it at large. The first convocation booklet (1960) bears evidence to this fact because at that time, Vidyodaya University had five Faculties, namely; Faculty of Buddhism, Faculty of Philosophy, Faculty of Languages, Faculty of Arts, and Faculty of Science. By this time the University had already moved into its new premises at Gangodawila. There is a belief that the palm leaves for the Sandesha Kaviya written during the Kotte era had been prepared at the Sunethra Maha Devi Pirivena in Papiliyana, Kotte and that it was the same land, which was donated to the University of Sri Jayewardenepura for its buildings. In recent years, one of the major landmarks of the history of the University was the establishment of the Faculty of Engineering, the Faculty of Technology and the Faculty of Allied Health Sciences. 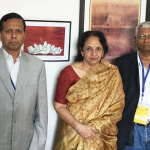 All three Faculties were established broadening and widening the expanse of the University further. 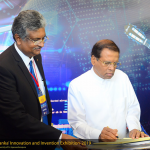 Unfailing commitment, enthusiasm and most of all, the farsighted vision of the present Vice-Chancellor, Senior Professor Sampath Amaratunge must be written down in history for this novel venture. 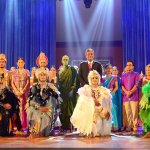 Presently as a center of knowledge and excellence, the University of Sri Jayewardenepura continues to enrich and protect its legendary traditions while creating, initiating and inspiring the novel. Department of English, Faculty of Humanities and Social Sciences, University of Sri Jayewardenepura.